Have you sat down before to watch a movie in English? You know the feeling. You’re excited to immerse yourself for a couple of hours in the language and culture. But after a couple of scenes, your dreams of watching an entire film in English are shattered. What on earth is that character saying? You start to think – this is pointless! Before long, the subtitles are back on and you’re finger is hovering over the off button. You give up and decide watching films in English is just not for you. But what if there was a way to immerse yourself in a whole variety of different films and TV series, without all this stress and frustration? 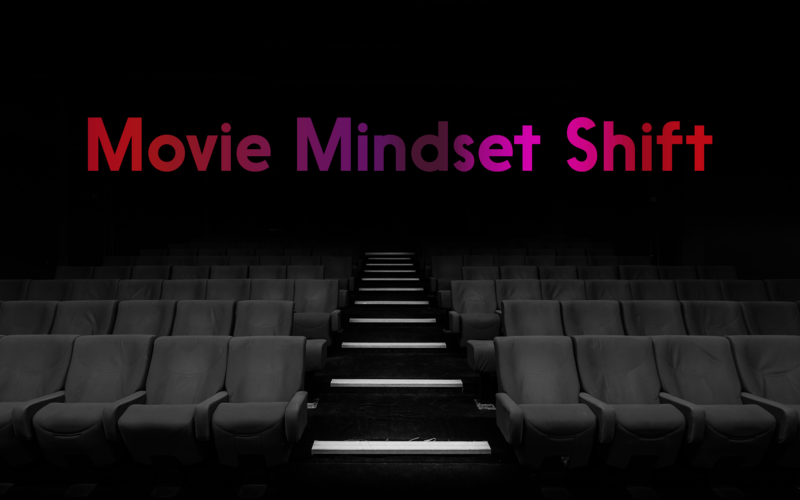 What if you could enjoy learning from films and developing your understanding with short clips? Have you heard of Voscreen? This is where VoScreen comes in. They’ve done the hard work of bringing together short clips from every type of movie or TV series imaginable. And organising them by level and grammatical structure. If you don’t know this tool, you’re going to love my 5-minute video introduction to VoScreen. A free tool that you can get started with in just a few minutes. Should you use VoScreen in your own language or just in English? Can’t understand your favourite films and shows? Grab my free download. Have you tried using Voscreen? What did you think? Has it helped you improve your listening skills? Let me know in the comments. Glad you like it Ana. It’s fantastic isn’t it? I’m getting a great response about this video and post. Excellent resource!I’ll make use of it! I thought you might like it Anastasia! Let me know how you get on with it. Great! I’ll be making use of it! You’re welcome Ernesto. I hope it’ll help you. Thanks a lot for this , Cara . It’s perfect for quick listening/pronunciation practice. Just one thing : I’ve noticed an option in the Voscreen menu – Playlists – but it doesn’t seem to be functioning . It would be useful to have such a function so as to prepare a couple of clips for a specific class . It says : ‘You don’t have any playlists yet. You can create playlists while playing.’ But I can’t see how . It also offers the possibility of creating ‘Observation group’ , which I guess is another word for Class . Thanks again . Sorry ,Leo . I’ve just discovered how to create playlists . I created an ‘Observation group’ and now the symbol for ‘playlists’ appears on the screen – you just have to tap it (or was it there before and I just didn’t notice it?) . Thanks . Hi Alan. Glad you like this tool and that you’ve figured out how to use the playlists function. To be honest, I’ve never tried it. The log in function I thought was most useful was the possibility to keep track of your score. I’ll have to try your observation group trick myself. I guess if you have any other issues you could contact Voscreen directly. Good luck using it in your classes and let us know how you get on. Thanks a lot for very useful tool for learners! I know! I hope you enjoy using it! How can u change settings? There wasn’t my mother tongue, Armenian so I’ve chosen Arabic which was the nearest one. Now the subtitles are in Arabic 🙂 . Hi Luscine. I think you just need to go back into the language settings at the top and switch the language back to English. Maybe you could write to the Voscreen developers directly and ask them to add Armenian-just a thought!